Those of you who've had your bludger in a boggart (or something) over the last few weeks might be surprised to know that the final Harry Potter film was released yesterday. If you'd like to know if it's worth seeing, or what Harry Potter will look like when he's 47 years old, then accio review! Harry Potter's music has been of varied quality throughout the series - four composers have had a crack over the eight films - but it's John Williams' perfect theme that will forever be associated with the specky wizbox. There is a ton of good stuff on the soundtracks though, so I've split the playlist into two, in much the same way that Warner Brothers did with the final Potter book, although the difference here is that I won't pocket an extra billion dollars for my trouble. Coming soon: Harry Potter Part 2, obviously. You daft dimbo. The Harry Potter film saga takes a full 19 hours 38 minutes to unfold during the required 8 visits to the cinema. Wagner's amazing saga The Ring is about 16 hours long needing 4 visits to the opera house. Wagner and Rowling both used magic like the Tarnhelm an invisibility cloak, there is a dragon to slay called Fafner, there are magic potions, airborne and aquatic sequences and much reference to the mythological past. Wagner completed his dram in 1874 and Rowling's film saga ended in 2011. In 137 years time I wonder if Harry Potter will be playing to sell out audiences the way The Ring does today? Of course it won't. Simply because operas (especially by Wagner) are epic live events that cannot be fully captured by film/video. HP as a series of books/films no doubt will still be popular - comparable to what Charles Dickens still is to us today, perhaps. Anonymous, I agree. Dickens published some of his work in instalments. HP will be handed down like the Canterbury Tales. There have been marathon screenings of all Star Wars films. I wonder if all 8 HP films will ever be shown in one day? 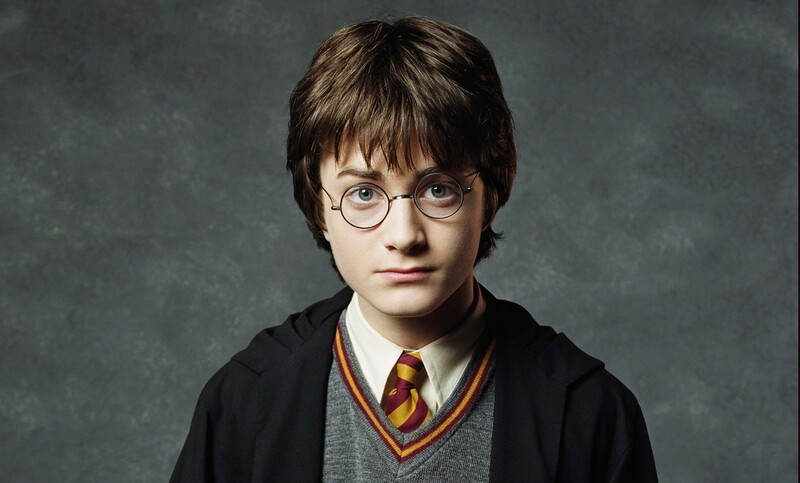 Perhaps it is better for newcomers to see The Philosopher's Stone when they are 13 as Daniel Radcliffe was in 2001 and then only see the rest over a period of 10 years to stay the same age as the actor. I'm not sure about the age HP is meant to be in each movie. I think he was 10 on his first year and his birthday was in the summer. LastReelReveal, you are writing about HP's birthday in the book of The Philosopher's Stone I presume. I just checked IMDB and saw that Daniel was born in July 1989 and the first film was released in November 2001, so I made a mistake in my previous comment. Anyway, I suppose that means he was 11 when the shooting started. Imagine James Bond aging as the years went by. He was supposed to be in his mid to late thirties, say 38 for 'Dr.No' in 1962 so he would be 86 years old today and would be asking Q for laser specs, cable cutting dentures and a colostomy bag that can anaesthetise a theatre audience in seconds. He would use a Zimmer frame with rockets in the tubes. These days Bond would sleep with a packet of viagra under his pillow rather than the Walther PPK. Totes agree Mark, I had to get rid of a ton of great stuff to get this playlist down to under an hour though. Consider it a sampler for the albums, much like the films are samplers for the books.